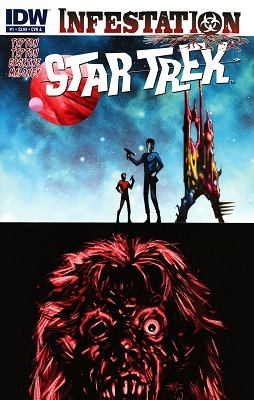 STAR TREK TNG: THE SPACE BETWEEN #6 is the last issue of the miniseries. It sort of resolves everything. Except it doesn't. 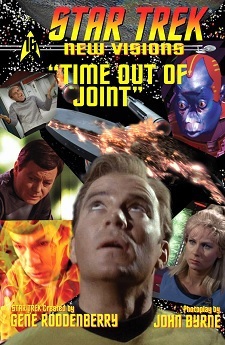 I vent a little bit about this and provide links to Star Trek reviews. 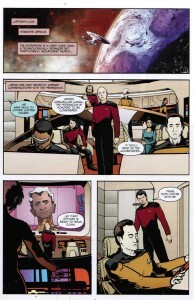 STAR TREK THE NEXT GENERATION: THE SPACE BETWEEN #5 focuses on Wesley Crusher. But instead of saving the day with science he figures out a plot without taking credits. 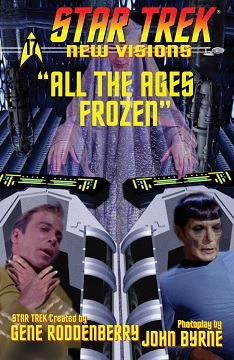 STAR TREK TNG: THE SPACE BETWEEN #4 takes place in the fifth or sixth season, when Ensign Ro was part of the crew. 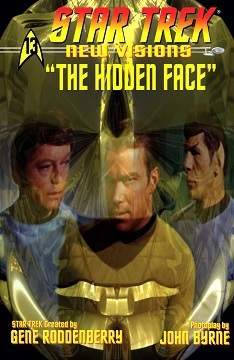 STAR TREK TNG: THE SPACE BETWEEN #3 takes place during the 7th season of NEXT GENERATION. 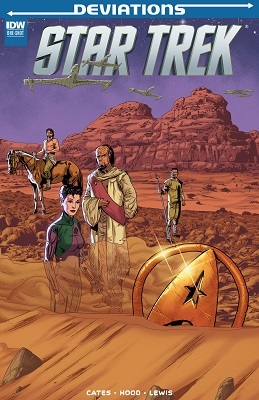 The bad guys of the story deliberatly target Deanna Troi, so she has a purpose in the story. Also, it takes place during her romantic relationship with Worf. 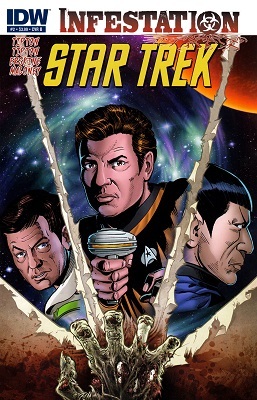 In 2007, IDW put out STAR TREK THE NEXT GENERATION: THE SPACE BETWEEN, a six part miniseries set at various times during the shows 7 year run. 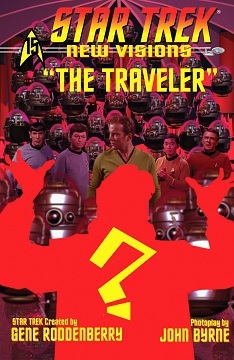 It sort of tied together in the last issue, but not really. 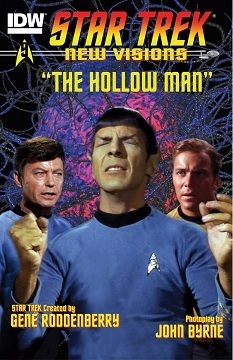 The first issue takes placing during the first season of TNG. 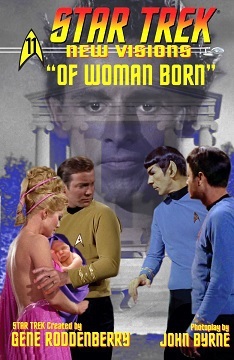 The second DC Comics Star Trek series did a three-part series called "Star-Crossed" about the romance between James T. Kirk and Carol Marcus. This part takes a look at Jim spending some time with his family. "'Nice to know that dropping you name can still get a response. Deb and I were driving back to the hotel with a group of "celebrities" (voice actor who has also been in movies, and one of the guys from MYTHBUSTERS) and they are talking Star Trek. 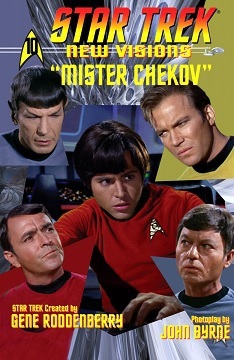 I mention that a friend mine is doing some Star Trek work, describe it to them, they are kinda interested... and then I drop the hammer and your name...total stunned silence in the car as eyes go wide, "John Byrne? John Byrne John Byrne? X-Men Fantastic Four John Byrne?" They turned into little kids, and my bffs.'" "What's wrong with this picture?